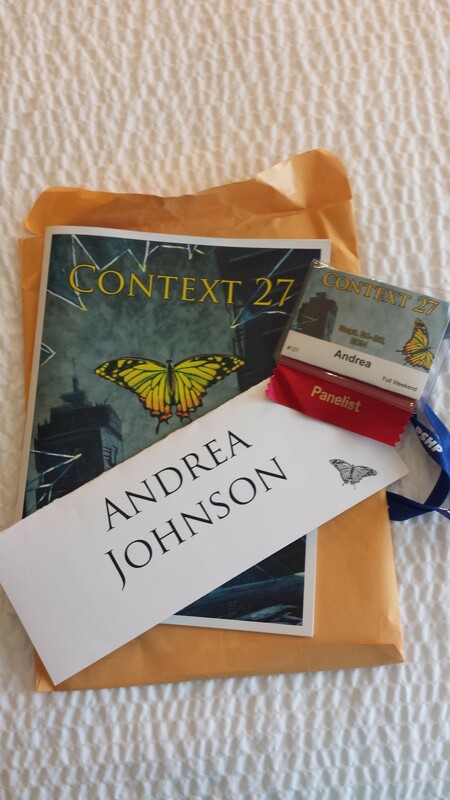 Over the weekend of Sept 27/28 Elizabeth Campbell and I attended Context 27 in Columbus Oh. Maybe you’ve seen some of my teaser photos? 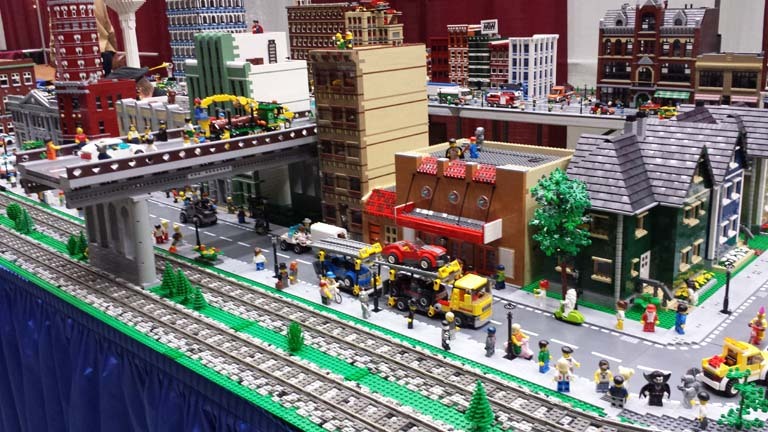 Every convention has a personality, and Context’s personality is “mellow and inviting”. This is my second year attending Context, and two years in a row it’s been the most welcoming convention I’ve attended. I recognized a lot of people from last year, so it felt like a reunion with plenty of hugs in hallways and Omgosh Hi!’s. But it isn’t easy to walk into a hotel full of strangers. To help break the ice, Elizabeth had the genius idea of picking up a pack of “Hello my name is” stickers and a pack of markers. For people we knew well, we gave them obnoxious or non sequitur name tags. For example, I quickly had stickers that said “Sober Andrea” and “I don’t know how to use my phone”, and “on vacation”. 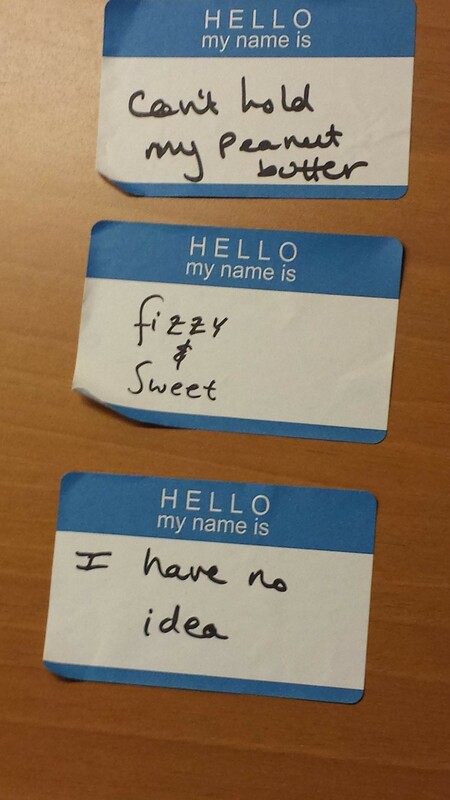 For people we didn’t know, I’d ask them what they’d like on their name tag. Context was the perfect amount of people for this kind of game, more than a few hundred people and I don’t think it would have worked. Next year, we should pick up half a dozen packs and give them to different people, so by the end of the weekend everyone gets at least one sticker. By Saturday night I was covered in stickers. The programming at Context is designed for writers. There are workshops you can sign up for, readings, panels, games, and the famous Friday Night Flash Fiction Contest, along with the requisite dealer room, consuite and nighttime parties. 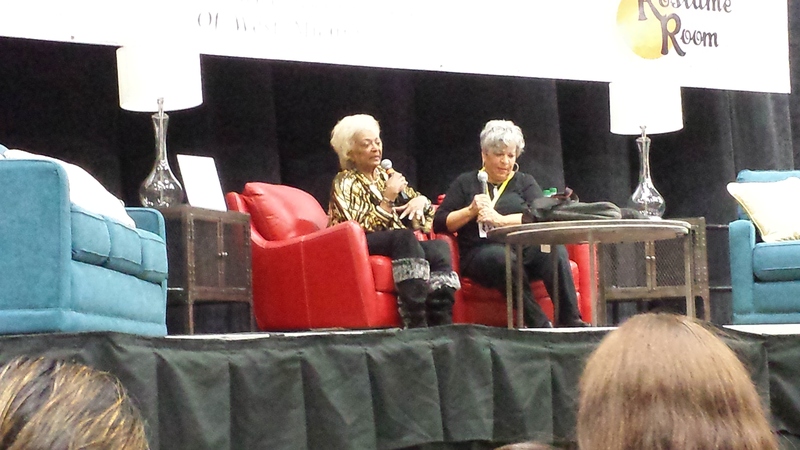 What was I, a non-writer, doing at a writers convention you ask? Well, I had such a fantastic time last year that I had to go back… and would you believe that writers like book reviewers? This was also a big first for me: being on panels. Would anyone show up for my panels? Would my co-panelists be cool? What if I was a crappy moderator? quick answers are yes, yes, and I did fine. First time moderating a panel? Might as well do it while cosplaying Sabetha Belacoros. It was probably easier because the quantity of people to serve was smaller, but this consuite was fantastic. Snacks, soda, coffee, more snacks, breakfast, dinner, sandwiches, dessert. Sushi even showed up a few times. The dealer room was small but well curated. No items were repeated, so no one was completing with anyone else, which was nice. There were shiny new books from the big publishers, more shiny new books from small presses, steampunk jewelry and accessories, used books, Star Wars items, and more. Two of my favorite small presses, Apex and Alliteration Ink were right near the front, so I barely made my way to the back of the room. I’m sure there was a lot back there I never saw. Autograph sessions were done in a unique way. Instead of having one large mass autograph session, two or three authors at a time would spend a scheduled hour in the dealer room, answering questions and chatting and autographing books. I had some books I wanted signed, and never managed to be in the dealer room at the right time, so luckily I was able to catch up with people later. Personally, I think I prefer the larger mass autograph sessions. With the majority of the programming being on Saturday, Elizabeth and I spent most of Friday browsing Columbus area bookstores, schmoozing with friends in the dealer room, and hanging out in the bar. Much pumpkin beer was had. 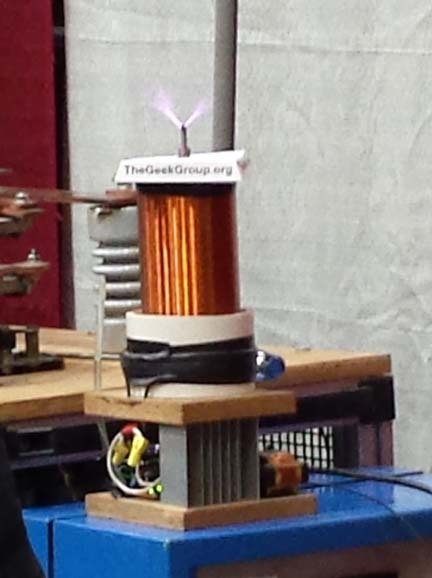 Then we went to some panels! Ready to hear more than you ever wanted to know about all the panels I jammed into one weekend? Last weekend I was at Context in Columbus OH. This small-ish SF/F convention is so casual and fun that it felt like a relaxicon. 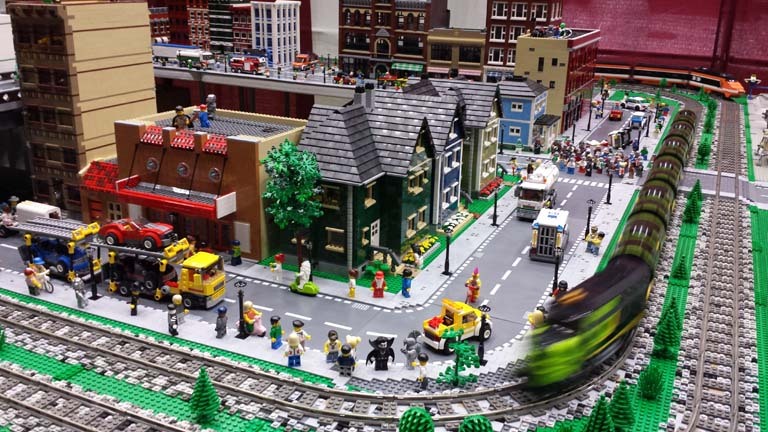 Columbus is also a fantastic city to visit, with bookstores on nearly every corner, beautiful college campuses, historic neighborhoods, and a highway system that actually makes sense. While you are being so very patient to hear about my adventures, here are some photos to whet your appetite. Warning: large photo files ahead. Is that a panelist packet? why yes, yes it is! 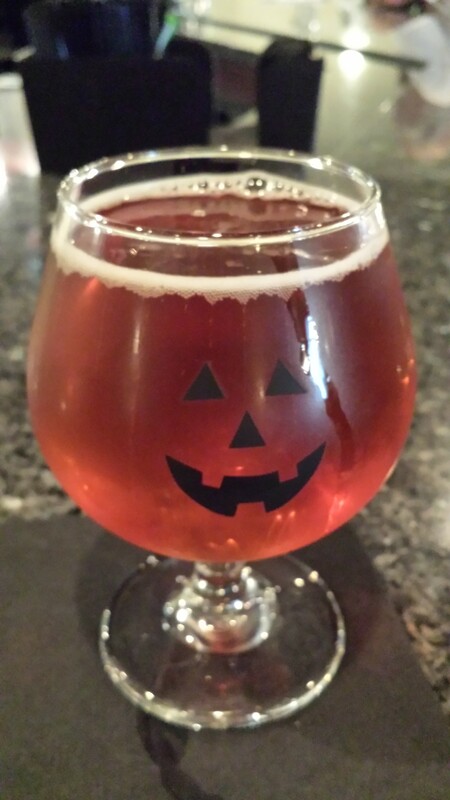 pumpkin beer in a pumpkin glass. The weekend of Sept 26th-28th I’ll be in Columbus OH, attending Context27. Context27 is a small-ish, very casual convention aimed towards speculative fiction writers and anyone involved or wanting to get involved in writing. Their programming offers workshops, panels, informal discussion, and of course, evening parties and schmoozing. This year’s guests of honor are Jonathan Mayberry and Betsy Mitchell. Other guests and panelists include Lucy Snyder, Laura Resnick, Gary Braunbeck, Matt Betts, Maurice Broaddus, Carrie Cuinn, Jason Sizemore, Steven Zimmer, Sarah Hans, Janet Harriett, Tim Waggoner, Michael West, Gery Deer, Geoffrey Girard, Jennifer Brozek, and more! Oh, and I’m a panelist* this year too! Columbus has a huge craft beer scene, so when I’m not at the convention hotel, I’ll be chilling with Elizabeth Campbell at a bar somewhere. If memory serves, there is a place nearby called “Pies and Pints”, which is crafty beer and fantastic pizza. also, did you know? Robert Jackson Bennett’s amazing City of Stairs is released today. If you haven’t already decided to buy this book, go read my review. * this is my first time being a panelist. I am excited/scared shitless. Constructive advice/criticism is welcome, but please be gentle. i talk a good talk, but i is a sensitive mouse. 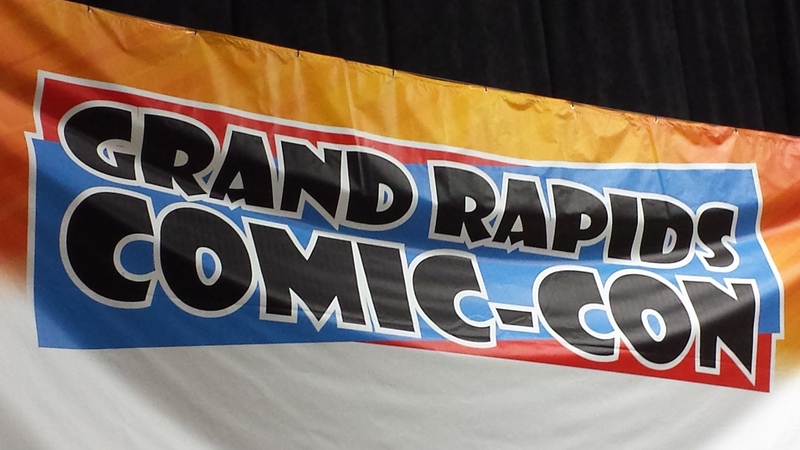 Final Anime Midwest post – The Panels. So I recently posted about a bazillion photos (part 1, part 2, part 3. that’s almost a bazillion, right?) from Anime Midwest. Yes, the people watching and cosplay was the highlight of the weekend, but I did things other than sit in the lobby and photograph people! 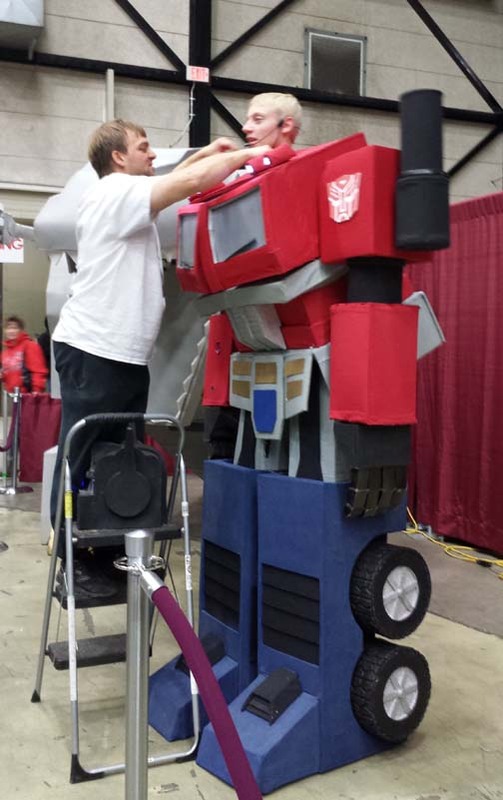 The convention had tons of programming, there were panels about cosplay, about specific shows and fandoms, Q&As with famous voice actors, concerts, there was so, so much to see and do. Hubby and I went to a few panels together, but there were so many good panels that were all occurring at the same time, that it was mostly “You go to this one, I’ll go to this other one, we’ll compare notes later”. The first panel we went to was called Dialects of Kansai. The woman who hosted the panel studied and lived in Japan, and was doing a series of panels over the weekend about Life in Japan. Students who study Japanese learn the “standard” Kyoto dialect, but Osaka uses a much older dialect and language patterns and casual slang that goes about about 1,000 years. I didn’t understand most of the Japanese she used, but it was a really cool panel. 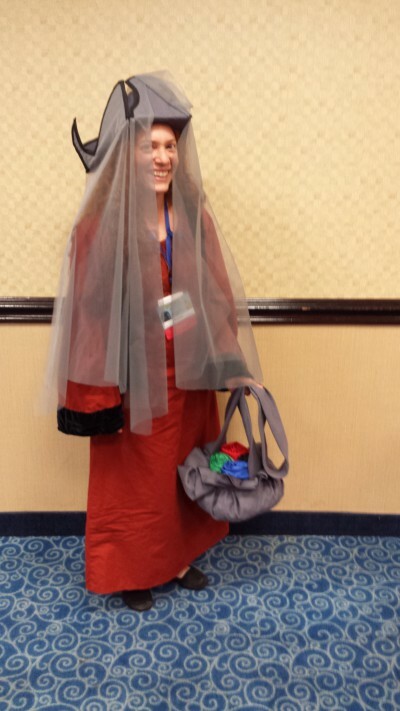 She also did the Kimono panel I went to later Friday evening. I caught the last 20 minutes of the Q&A with voice actress Caitlin Glass, who anime fans know as the voice of Winry Rockbell, Haruhi of Ouran High School Host Club, Evergreen of Fairy Tail, Petra of Attack on Titan, among many other roles. She is such the perfect nerd! She said that as a child she loved the movie The Little Mermaid so much that she’d walk around imitating Ariel’s voice. She studied classical theater in College, and took the “never close any doors” advice to heart, later auditioning with Funimation in her home town in Texas. It was a huge crowd, and she was great about answering everyone’s questions and having a lot of fun.